Shelley Hutson focuses her practice on product liability, mass tort litigation, pharmaceutical and personal injury litigation. She began her career in Houston, Texas as an assistant district attorney, trying a wide variety of cases with a greater than 95% success rate. 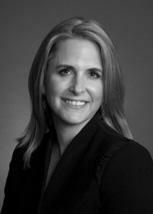 Afterwards, Shelley began focusing on medical/legal cases in the civil litigation arena. Shelley is nationally recognized for her specialized talent in locating world-renowned medical and scientific experts across all litigations. Additionally, she prepares and oversees the development of liability and medical causation strategies and the building of damage models for every client. Shelley's relentless attention to the medical issues, her work with treating physicians, and her expert development in every tort has resulted in some of the nation's top settlement amounts for thousands of clients. In the last 6 years alone, Shelley has extensively developed medical science and built damage models that collectively were tried and settled for over half a billion dollars. Most recently, in November 2014, Shelley obtained a 26.7 million dollar verdict as lead counsel in the Southern District of Florida on behalf of four clients who suffered injuries from Boston Scientific's Pinnacle Pelvic Floor Repair Kit. The Pinnacle mesh kit is implanted for the treatment of stress urinary incontinence and pelvic organ prolapse. Each client was awarded an average of 6.6 million dollars in compensatory damages due to injuries suffered from the defective design of the product. (Amal Eghnayem, et al. v. Boston Scientific Corporation). As lead counsel in the second Topamax case to be tried in the country, Shelley obtained an 11 million dollar verdict ranking 1st in product liability cases in PA for 2013. (Gurley-Powell v. Janssen, Philadelphia Court of Common Pleas). As co-counsel in the first Topamax trial, Shelley and her colleagues obtained a 4.02 million dollar verdict in October 2013. (Czimmer v. Janssen, Philadelphia Court of Common Pleas). In addition to her active litigation practice, Shelley devotes time training and educating law students on how to become effective advocates for their clients. She gives back to her law school, South Texas College of Law, by participating in their moot court and mock trial programs. While participating in these programs herself during law school, Shelley won Best Speaker in the Nation award at the American Bar Association moot court competition. Shelley graduated from Texas Tech University in 1988 with a Bachelor of Science and a double major in English and French. She then attended graduate school at Texas Tech University studying French literature and graduated from South Texas College of Law in 1993. In her 19 years of practice, Shelley has proven to be a ferocious advocate on behalf of those who have been injured by corporations that look out for their profits instead of the health and welfare of the public consumer.